A Doctor Who spin-off created by Russell T Davies and starring John Barrowman as Captain Jack Harkness, Eve Myles as Gwen Cooper, Burn Gorman as Owen Harper, Naoko Mori as Toshiko Sato and Gareth David-Lloyd as Ianto Jones, Torchwood is a high-octane sci-fi thriller, full of adventure, passion, humour and excitement. The second series saw Torchwood investigating alien sleeper cells; saving a stranded creature from human exploitation; meeting a First World War soldier; and dealing with a memory thief who exposes long-held secrets within the whole team; not to mention encountering charismatic rogue Captain John Hart (played by James Marsters of Buffy the Vampire Slayer fame) and calling on the assistance of former TARDIS traveller Martha Jones (Freema Agyeman). In Something in the Darkness, noted TV historian Stephen James Walker gives the full low-down on the action, complete with character profiles, cast and production team information, behind-the-scenes details and a comprehensive guide to each of the 13 episodes. 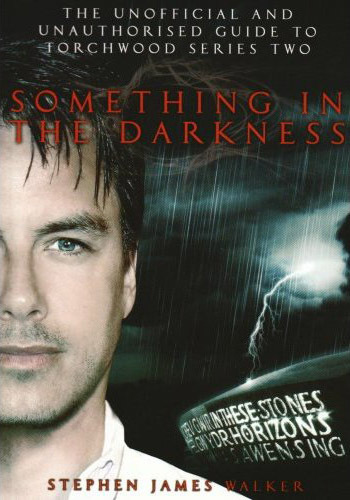 Something in the Darkness is every fan's one-stop guide to the secret world of Torchwood.